There weren’t many people in the cafe. 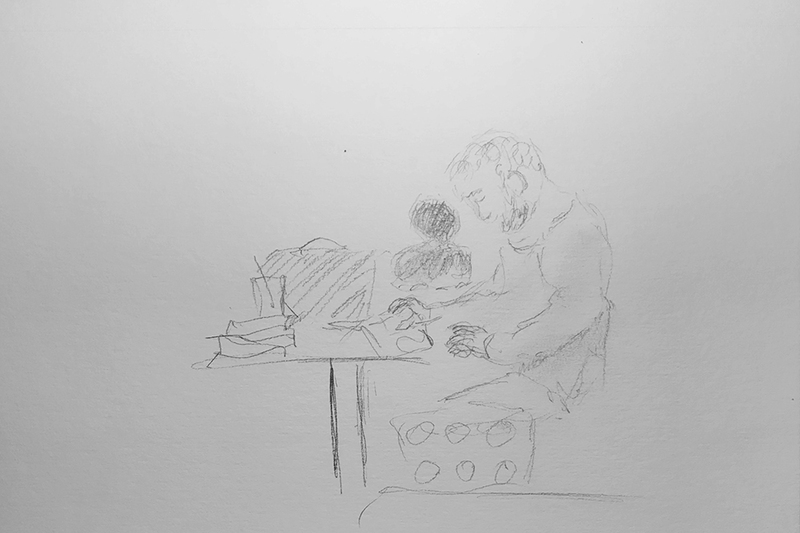 In fact, the only sketch-able person sat across from me, in front of a darkened window. If I squinted, I could see myself in the window. I put my silhouette into the drawing. This entry was posted in Personal Stories and tagged art, artistic process, creative process, creativity, drawing process, pencil, pencil sketch, portrait, visual art. Bookmark the permalink.